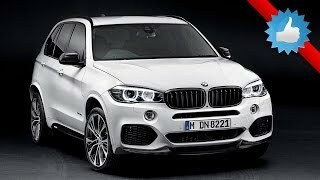 BMW has added the supreme sporty flair in M style with the M Performance parts for the third generation of the BMW X5. It will be available as of the market launch in spring 2014. 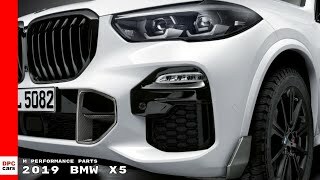 The BMW M Performance parts will be available for all model variants of the Sports Activity Vehicle (SAV) which include a black decorative grid on the kidney grille, a front splitter and exterior mirror caps in carbon, a diffuser insert for rear apron, air ducting elements and side sill foils. Also included is the brake system with brake calipers finished in blue and 21-inch BMW M Performance light alloy wheels in Bi-Color finish. The sporty touch in the cockpit is achieved by the sports steering wheel with red central marking, gear lever with carbon surface, accelerator, brake pedal and driver footrest in high-grade steel and BMW M Performance floor mats. 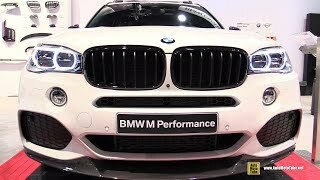 The BMW X5 xDrive35i gets an increased output up by 15 kW/20 bhp to 240 kW/326 bhp. Maximum torque is likewise raised by 50 Nm to 450 Nm. The spontaneous response of the engine can now be felt even more intensely due to an optimised accelerator pedal set-up. 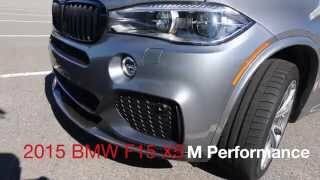 It also gets a BMW M Performance silencer system.